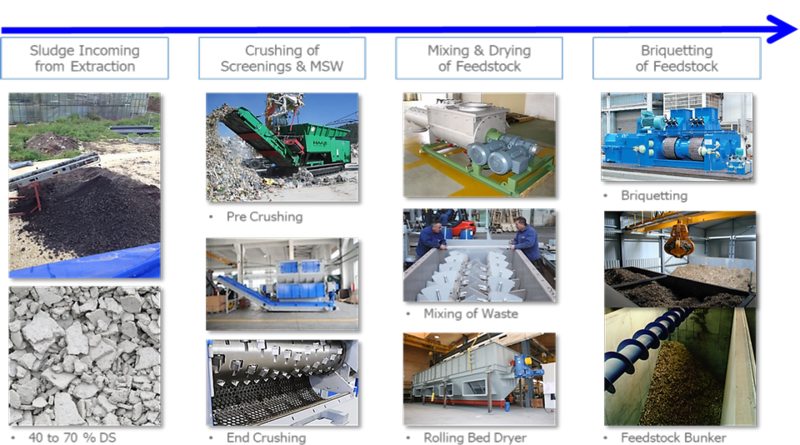 ProCone has established a very close relationship with different suppliers of materials treatment equipment. Depending on the materials available for the conversion in the BASURAgas® Universal System, different methods are employed. See below a small portfolio of equipment accessible to ProCone to treat the incoming feedstock material.